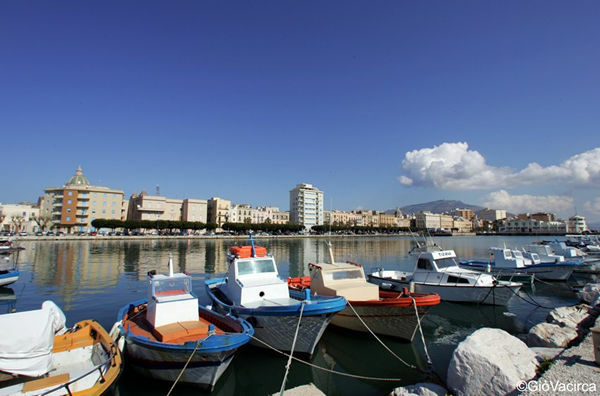 Less than 90 kilometers from Palermo airport, and being connected by the A29 motorway, the city of Trapani is a destination easily reached by those who want to arrive in a short time. In this article we will explain the 5 ways to get to Trapani from Palermo airport in the fastest and cheapest way.So why is the title of the article "5+1 ways to reach Trapani from Palermo Airport"? Because we will also consider train travel, which, however, at present, we strongly discourage. Here are the 5 + 1 methods to reach Trapani from Palermo Airport. Since there is no station at Palermo Airport, you need to get to Palermo city by bus and from there take the train to Trapani central station. The interruption of the railway line at Alcamo has however caused a disservice that lengthens the journey time for up to 5 hours. 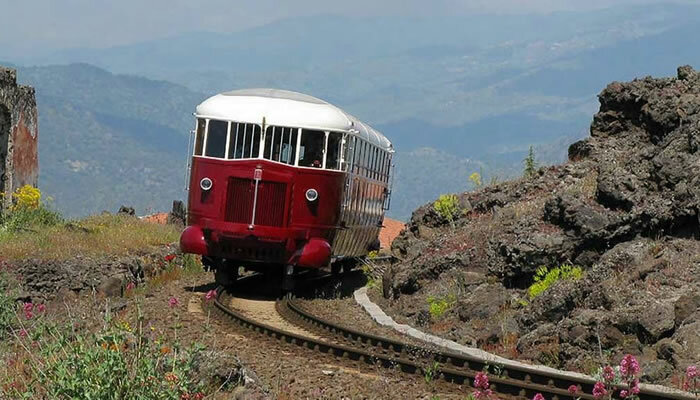 Of course, if you want to experience Sicily slowly and without haste, then the train might be for you. But if you prefer to swap those 3-4 hours of train with sunbathing on the beach, or in front of a nice aperitif on the sea, it might be better to change your plans. You can find the train timetable on the website trenitalia.com. The buses that connect Palermo airport to Trapani are operated by the Segesta company. 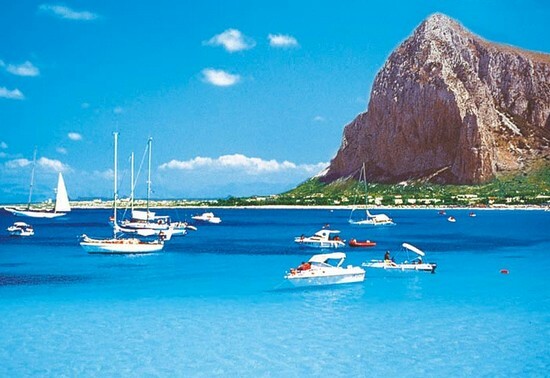 Traveling by bus from Palermo to Trapani can be the ideal choice, especially because of the low cost and speed of connection. The ticket price is in fact € 8.00 per person for a journey time of about 1 hour. Tickets can be purchased on board (with a charge of 1 euro) or directly on the Segesta site, where you can also consult the departure times from the Palermo airport. For our part, we advise you to always consult the Segesta site to check the presence of a bus in conjunction with the arrival at the Falcone e Borsellino airport. Here you can consult the site of Segesta. The taxi is the classic solution that comes to mind when it comes to tourist transfers. However, a Palermo-Trapani taxi, athough practical and fast, could cost more than the flight you took to Sicily. 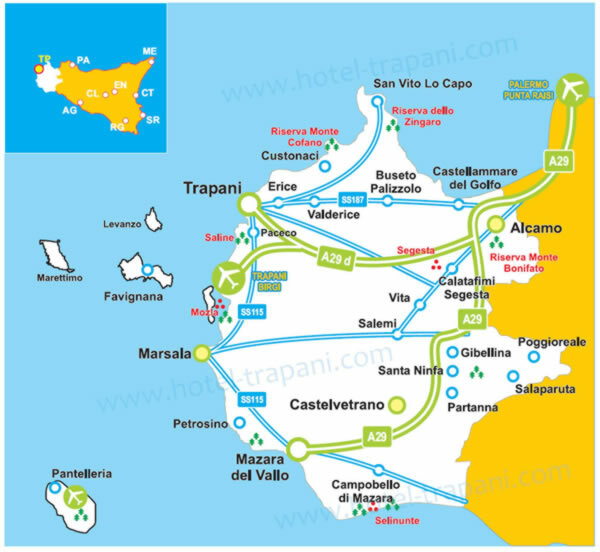 The price of the Palermo - Trapani section is around 80.00 - 100.00 Euros. Of course, the exclusivity and convenience that the bus does not offer are guaranteed. But is it worth it? The choice of a shuttle service to get to Trapani from the airport of Palermo, is similar to that of the taxi but with one more possibility: to save money if you can be included in a collective transport. Although it is true that the individual cost of the transfer from the airport of Palermo to Trapani is practically the same as that of the taxi, but when you join a collective the price drops around 20 euros per person. It is true that you travel with strangers (usually a shuttle service van has 9 seats), but waiting times are much lower than the bus and, the icing on the cake is that the shuttle leaves you right outside the hotel door. 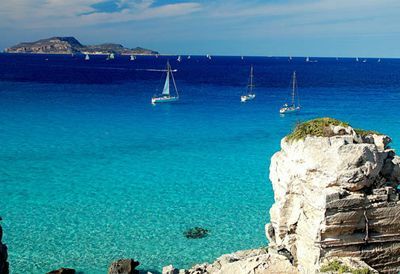 In the side column of this site you will find several banners for transfers to and from the Palermo airport. By clicking on a random banner you can access the site with prices and conditions. 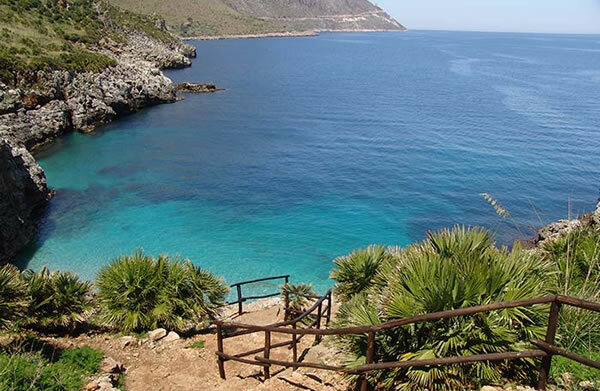 For all those who want autonomy and independence, considering that the province of Trapani is not particularly well connected, the car rental solution is ideal. Inside the Palermo airport terminal there are several car rental services to choose from. Remember that almost everyone asks for a credit card to guarantee the rented car (ATTENTION! Not a prepaid card). And so it is not unusual to see tourists who are refused a car at the counter, despite having already booked and paid online. So I warn you! Do not ruin your holidays as soon as you set foot in Palermo airport! Perhaps not everyone knows bla bla car; a nice and convenient opportunity. Bla bla car is an online service where travellers can ask for lifts from drivers (all certified and reviewed) who are travelling the same route. Just at the cost of part of the petrol price. The drivers are often Sicilian, sometimes commuters, who can tell anecdotes and stories about Trapani and its province. The BlaBlaCar site is there. So, reaching Trapani from Punta Raisi Airport is not so complicated. It’s enough just to be organized and to be well informed on departure. 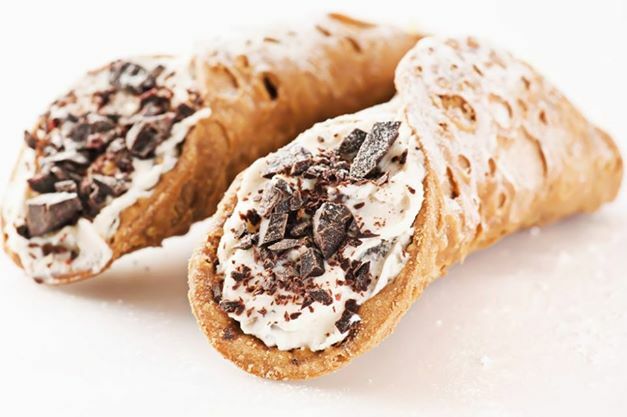 We are looking forward to seeing you in Trapani and as we say here … SSABBINIRICA! COMMENT "PALERMO TRAPANI. 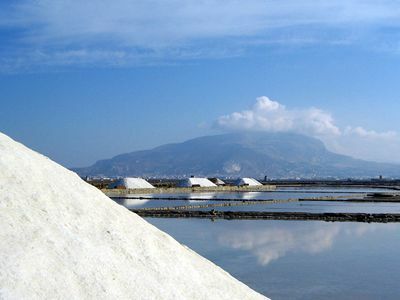 5+1 WAYS TO REACH TRAPANI FROM PALERMO AIRPORT"
IN ADDITION TO "PALERMO TRAPANI. 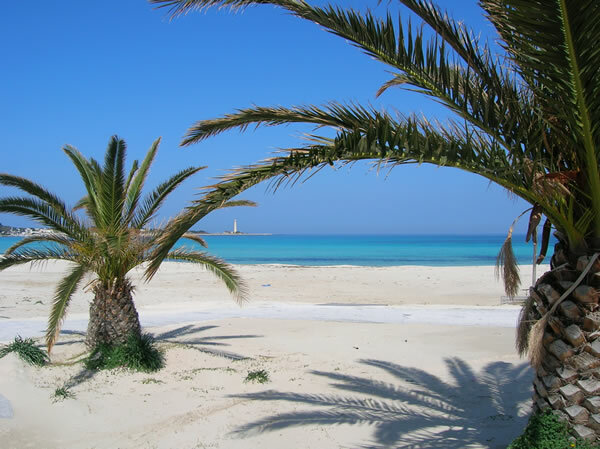 5+1 WAYS TO REACH TRAPANI FROM PALERMO AIRPORT" MAYBE YOU MAY ALSO BE INTERESTED IN THESE ARTICLES?